Apply your experience with Arduino, BeagleBone Black, Raspberry Pi, or similar platforms that are changing the embedded world with easy access. You will develop Model-Based Design solutions to help students, makers and developers build applications such as robotics, motor control, and video processing to come to live on these devices. Experience with Arduino, ARM-based platforms like NXP FRDM-K64F, FRDM-KL25Z, TI Launchpads, STM32 Nucleo boards. Experience with Linux-based hardware like Raspberry PI 3, BeagleBone Black, Samsung’s Artik, etc. You will be responsible for designing and programming a small module or a large component and designing a feature, set of features, or whole feature area. Strong knowledge of Object Oriented Analysis and Design, Software Design Patterns and Java coding principles. Over 6 years’ experience in using OO programming with Java. Hands-on experience in REST on top any Open source library, SQL Database such as PostgreSQL , SQL-Server, Oracle, etc. We are looking for engineers with 1 to 5 years for multiple positions across embedded software development and test in Modem, Multimedia, Linus, Tools, Systems, Customer Engineering, BSP, Security. Interested in disrupting the B2B landscape? Eager to contribute to a business that is growing exponentially? If so, this is the right role for you. As an SDE on the team, you will develop design patterns, APIs, and high-scale services for machine learning that make the B2B use cases intelligent. You will enable customers to analyze their spend across and look for opportunities to save money, time and resources. We are looking for an exceptional Product Developers to join the team that works on the PayPal LiveOps. If you really enjoy building enterprise-class transactional and interactive websites that take millions of hits and have an interest in the cutting edge technologies then this is your job. In this role, you will be part of the team that is working on the Live Operations and services for PayPal Payment applications. 7+ years of experience in software product development. Experience in building complex, scalable and high-performance web applications. Familiarity with languages and technologies needed for web services development, including Java, C++, REST, SQL. Passion to work on Operations to identify issues and help resolve customer pain points. Deliver quality engineering, exploratory testing, and test automation covering all key deliverable areas including mobile, web, and API testing. Drive adoption of development services (Quality Engineering, Performance Engineering, Continuous Integration, Continuous Delivery, and Collaboration) among various delivery teams. Bachelor/Master’s Degree in Computer Science or equivalent work experience with exposure to quality engineering processes. Ability to create good acceptance and integration test automation scripts and integrate with Continuous integration (Jenkins) and code coverage tools (Sonar, Clover) to ensure 80% or higher. Good knowledge of payments domain message flows, architecture, common design patterns, ISO message protocols, simulation/emulation tools highly desirable. If you require accommodations or assistance to complete the online application process, please contact [email protected] and identify the type of accommodation or assistance you are requesting. FireEye is hiring a Senior Quality Engineer to play a key role in the evolution of our Email Threat Prevention Cloud-based SaaS Offering, by establishing a “customer first” vision for the quality of the product. 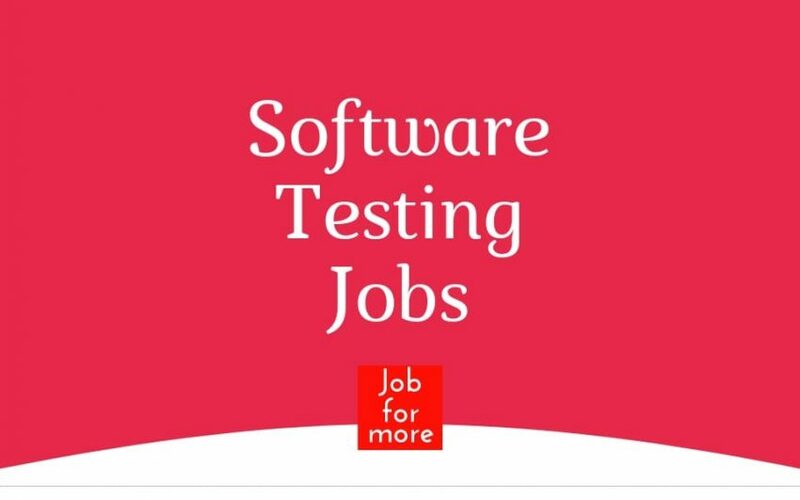 You will be as siting in leading a team of geographically-distributed, highly skilled engineers working on automated and white-box testing of multi-tenant Cloud systems. Quantitative experience in analysing and testing large SQL/NoSQL data stores, streaming, multi-stage data pipelines and related technologies, e.g., Elastic Search, Cassandra, MySQL, Spark, Kafka, or similar will be highly preferred. Amazon is hiring Quality Services Associate for Chennai location, this is a Full-time Role related to Software device testing. Should have the understanding of the functionality of the project/product. Should have the ability to stay connected with changing requirements and documentation. Trawex is looking for a high energy Test Engineer/ a Quality Assurance (QA) Specialist to develop and execute exploratory, manual and automated tests to ensure product quality. Torry Harris Business Solutions, are Hiring resources for the Testing team based in Bangalore. Please find the details below and do let us know if you would like to be part of this Wonderful Company. Skilled on SoapUI, testing of soap based, JMS and REST based web services. Strong knowledge of fundamental SOA technologies and Web Services, SOAP, WSDL, XML, XSD, XSLT, JMS, XPATH. Working knowledge/ good exposure to performance test tools like Jmeter/LoadUI/ Selenium etc.